Im Hotel Ariston werden wir Sie wie zu Hause fühlen! 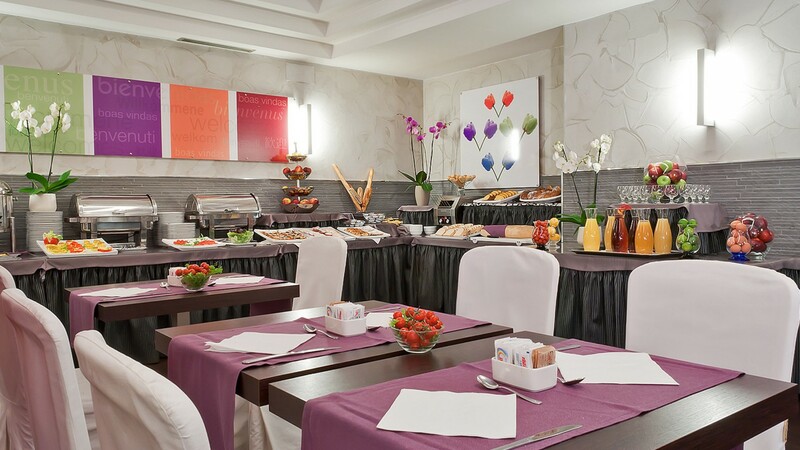 Adriano Room is our Restaurant room, where the Buffet Breakfast takes place every day. Lunches and dinners are organized in this room. Available for meetings from 11.00 am. It is situated on the ground floor and has light parquet flooring and soundproof moveble walls. It can accommodate up to 45 people in theatre style set up. 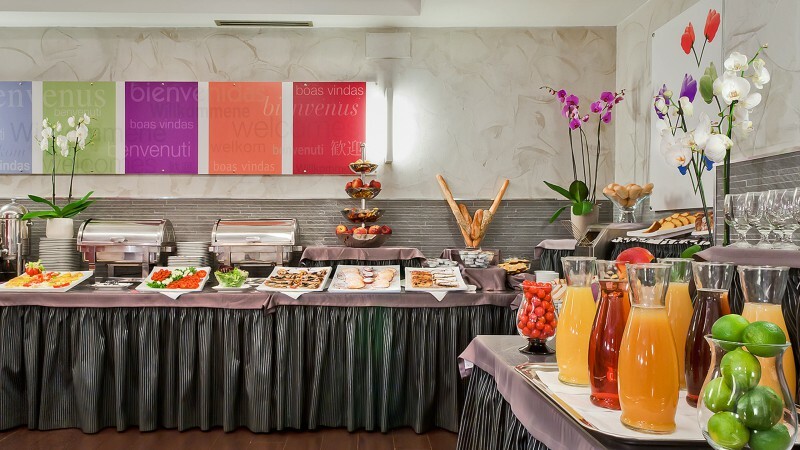 Our restaurant is open from early morning, offering a rich and energetic Buffet Breakfast. The Restaurant is open for our Events on request only. Gentile Room has natural light and it is situated on the 6th floor. 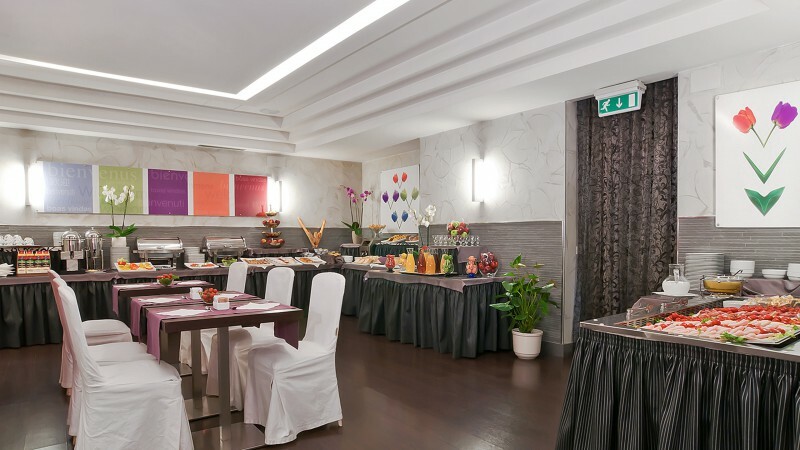 It is the biggest meeting room of Hotel Ariston and has a control room available for simultaneous translation (Equipment not included in standard offer). It can accommodate up to 100 people in theatre style set up. 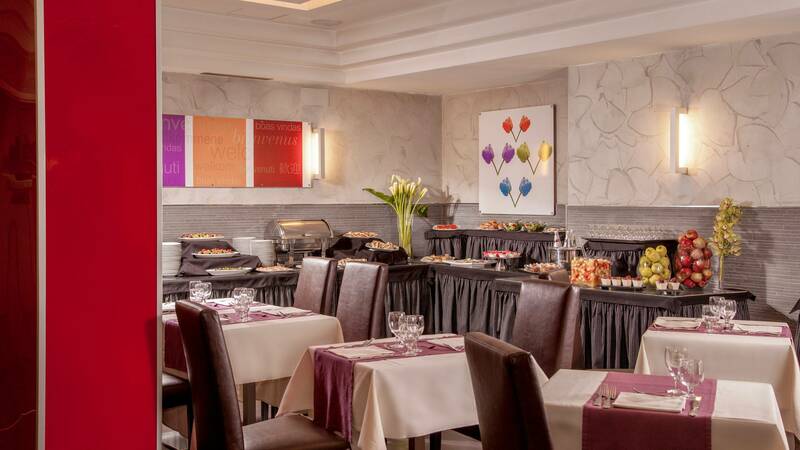 Costantino Room is situated on the ground floor. It is warm and cosy with carpeted floor. It can accommodate up to 30 people in theatre style set up. The meeting room is equipped with a drop-down screen. Diese Seite verwendet Cookies die für den Betrieb notwendig sind und für die in der Cookie-Richtlinie beschriebenen Zwecke nützlich sind. Wenn Sie mehr erfahren oder alle oder einige Cookies deaktivieren möchten lesen Sie die Cookie-Richtlinie. Durch Klicken auf die Schaltfläche Zustimmen autorisieren Sie die Verwendung von Cookies.